Kit contains 25 lids with 200 micron filters, 25 liners, and 10 sealing plugs. 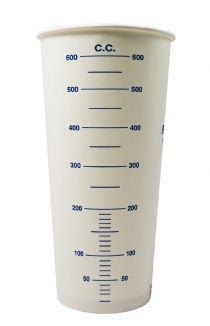 Graduated measurement to 28 oz/840 mL (with mix ratio film insert). 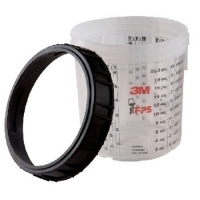 Maximum capacity of 32 oz/950 mL when filled to within 1/8 inch of rim. For use with part number 16023 or 16124 (H/O pressure cup).